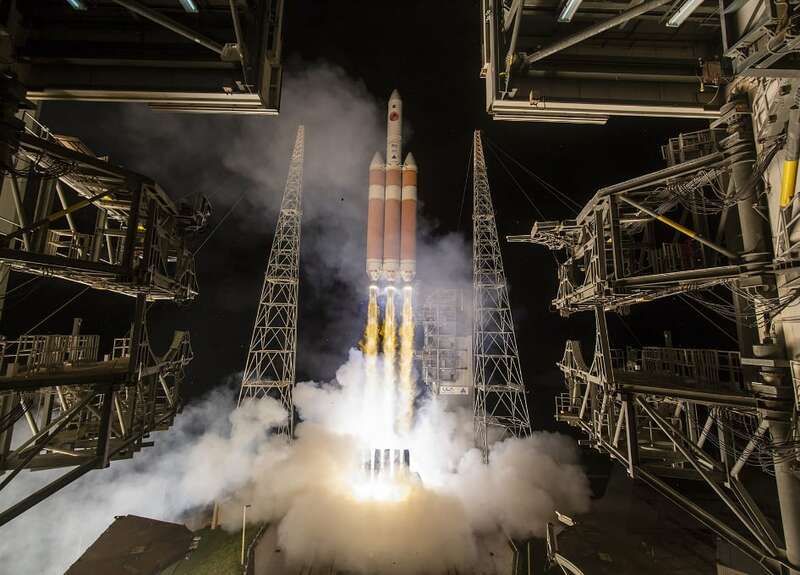 ULA Launches NASA's Parker Solar Probe to Touch Sun. Hours before the rise of the very star it will study, NASA's Parker Solar Probe launched from Florida Sunday to begin its journey to the Sun, where it will undertake a landmark mission. The mission's findings will help researchers improve their forecasts of space weather events, which have the potential to damage satellites and harm astronauts on orbit, disrupt radio communications and, at their most severe, overwhelm power grids. "This mission truly marks humanity's first visit to a star that will have implications not just here on Earth, but how we better understand our universe," said Thomas Zurbuchen, associate administrator of NASA's Science Mission Directorate. "We've accomplished something that decades ago, lived solely in the realm of science fiction." "Today's launch was the culmination of six decades of scientific study and millions of hours of effort," said project manager Andy Driesman, of the Johns Hopkins University Applied Physics Laboratory (APL) in Laurel, Maryland. "Now, Parker Solar Probe is operating normally and on its way to begin a seven-year mission of extreme science." Over the next two months, Parker Solar Probe will fly towards Venus, performing its first Venus gravity assist in early October - a maneuver a bit like a handbrake turn - that whips the spacecraft around the planet, using Venus's gravity to trim the spacecraft's orbit tighter around the Sun. This first flyby will place Parker Solar Probe in position in early November to fly as close as 15 million miles from the Sun - within the blazing solar atmosphere, known as the corona - closer than anything made by humanity has ever gone before. Parker Solar Probe will set its sights on the corona to solve long-standing, foundational mysteries of our Sun. What is the secret of the scorching corona, which is more than 300 times hotter than the Sun's surface, thousands of miles below? What drives the supersonic solar wind - the constant stream of solar material that blows through the entire solar system? And finally, what accelerates solar energetic particles, which can reach speeds up to more than half the speed of light as they rocket away from the Sun? "Exploring the Sun's corona with a spacecraft has been one of the hardest challenges for space exploration," said Nicola Fox, project scientist at APL. "We're finally going to be able to answer questions about the corona and solar wind raised by Gene Parker in 1958 - using a spacecraft that bears his name - and I can't wait to find out what discoveries we make. The science will be remarkable." Parker Solar Probe is part of NASA's Living with a Star program to explore aspects of the Sun-Earth system that directly affect life and society. The Living with a Star program is managed by the agency's Goddard Space Flight Center in Greenbelt, Maryland, for NASA's Science Mission Directorate in Washington. APL designed and built, and operates the spacecraft. The mission is named for Eugene Parker, the physicist who first theorized the existence of the solar wind in 1958. It's the first NASA mission to be named for a living researcher. A plaque dedicating the mission to Parker was attached to the spacecraft in May. It includes a quote from the renowned physicist - "Let's see what lies ahead." It also holds a memory card containing more than 1.1 million names submitted by the public to travel with the spacecraft to the Sun.